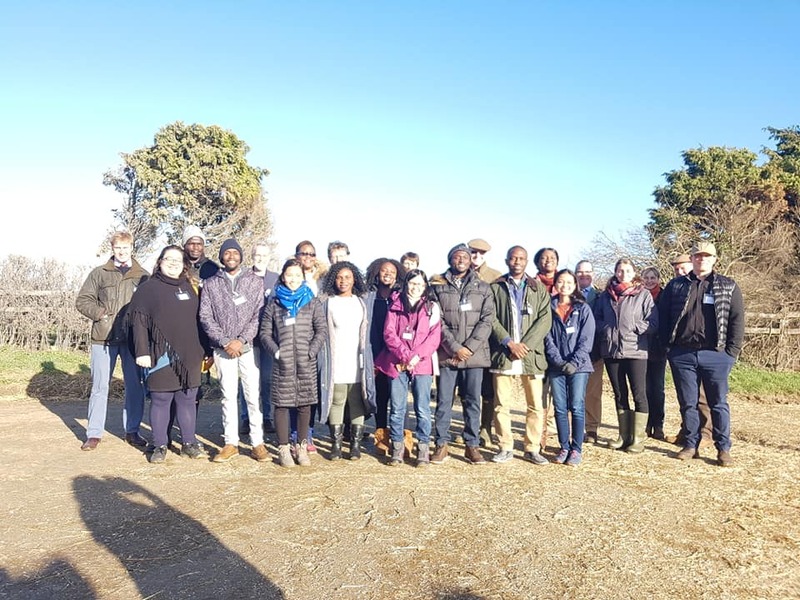 A group of 11 international Masters students from Africa and Asia saw ‘farm to fork’ first-hand on the 2,450 acre Seven Wells Farm and Traditional Butchers in Oundle, Northamptonshire this week. 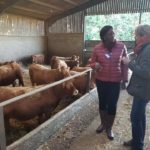 The students, who all secured scholarships with agricultural education charity Marshal Papworth Fund this year, spent a morning on the mixed farm and butchers, seeing how “cereals aren’t sold off the farm, they walk off the farm as finished cattle and into our butchers”, according to Robert Knight, the third generation of his family to farm at Seven Wells Farm, Stoke Doyle. 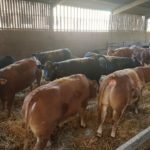 Purchased in 2004, Seven Wells Butchers employs four full time butchers, with the farm to fork message considered its strongest selling point. 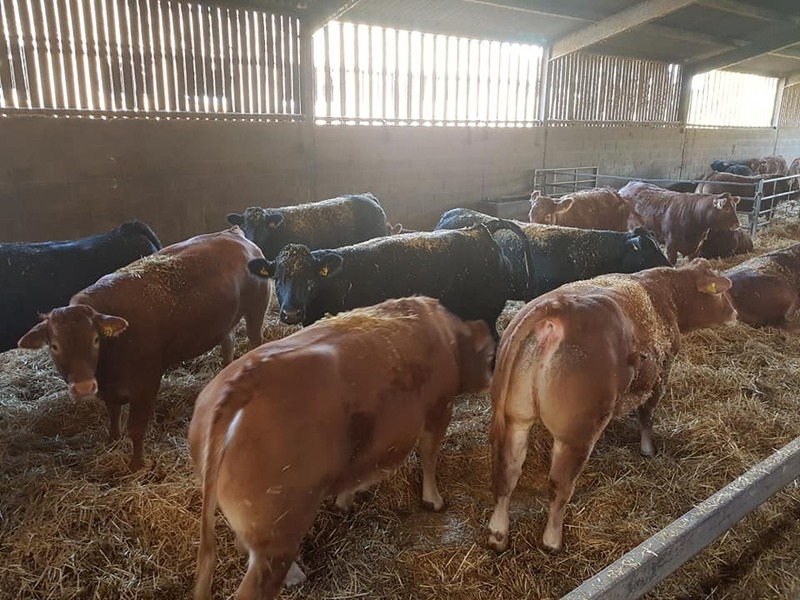 The enterprise comprises 2,000 acres of winter sown arable crops, 450 acres of grass, 270 Spring calving cows and 20 autumn calving cows for heifer replacements. 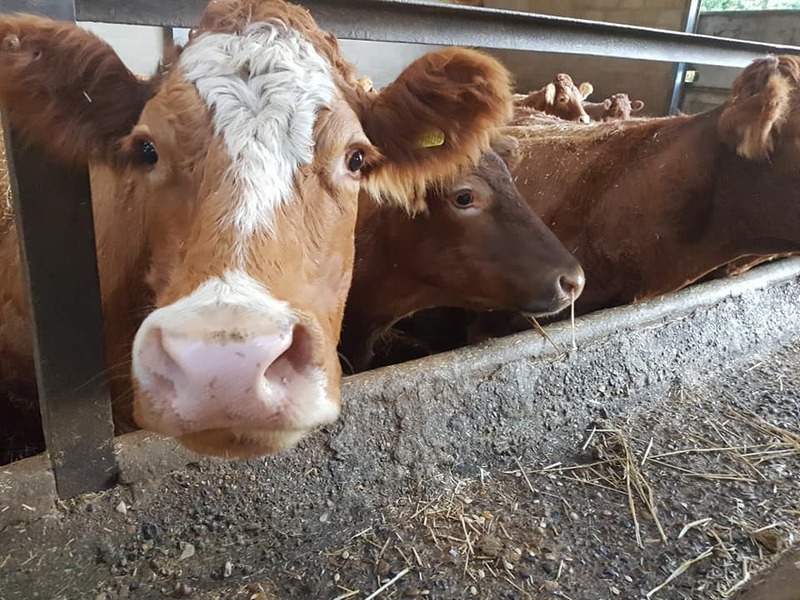 The farm employs Robert alongside his son Harry and two full time workers, with additional support from Sally and Robert’s other son Freddie when he is not working away on another Northamptonshire farm. 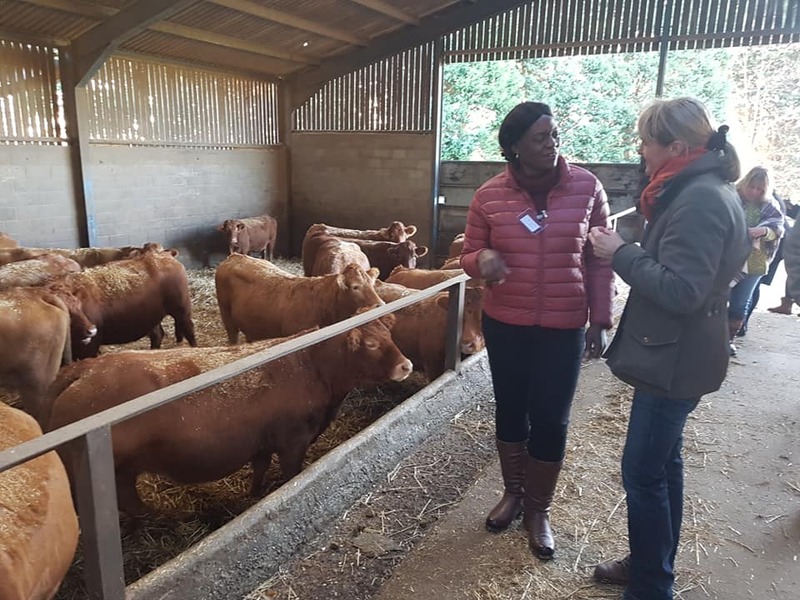 Currently studying for Masters degrees at Harper Adams University, the Royal Agricultural University (Cirencester), Aberystwyth University, University of Reading and Cranfield University, covering degrees in subjects including Livestock, International Development and Food Security, the scholars were quick to praise the Knights for demonstrating the importance of the farm to fork message, providing a valuable lesson for them in livestock husbandry, provenance and traceability, and detailed business management. . 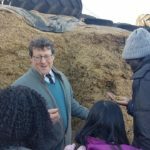 In 2019 the Marshal Papworth Fund will welcome its 200th student, working across developing countries to overcome issues including food insecurity, poverty and climate change in a sustainable way. 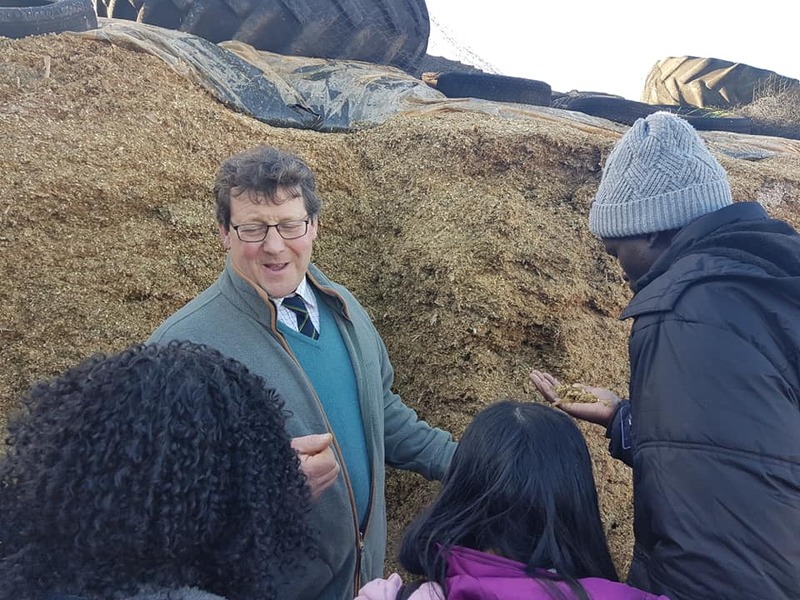 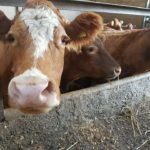 Whilst in the UK, the students attend a number of visits to agri-businesses such as Seven Wells Farm, that allow them to see, first-hand, the techniques and management practices UK farmers use to build sustainable and profitable businesses. 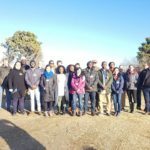 Allied with their Masters studies, these practical learnings enable the students to go back to their home countries with both policy design and practical implementation ideas that can benefit the farmers in their own communities.